In my world, everyone is nice to each other, especially when they are a customer who has arbitrarily chosen to give their business to an establishment. In the real world, you’re lucky if you are not berated by the people providing the service. In my world, you are waited on promptly or given a courteous salutation such as “be with you in a moment, sir”. In the real world, you are either ignored or ushered around without a word. In my world, people actually thank you for your business and urge you to come back again. In the real world, you are history the moment your money has been proffered. In my world, you usually have a good feeling about your experience and recommend it to friends. In the real world, you are often disappointed and warn your friends to avoid it. It’s a sorry state of affairs when someone just being nice prompts a blog post, but that’s exactly what this is about. I want to tell you about a fabulous place. 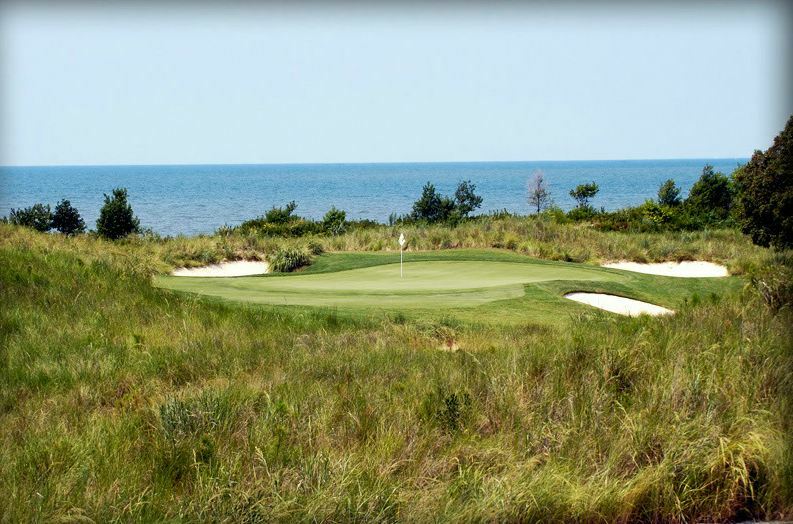 I had the pleasure of playing golf on the Virginia eastern shore at a club called Bay Creek Golf Club. From the moment I pulled up attention was lavished on me. They took my clubs out of the car, put them in the golf cart explained the lay of the land and even gave me the first name of the starter like we were going to be lifetime friends. In the golf shop they were interested in where I was from, had I been there before and told me how happy they were that I had chosen their course. They very diplomatically asked if either of us qualified for the senior discount. Of course I replied yes, many times over. It had been a lot of years since I was last “carded”. Who knew it would be such a good thing? The starter could have been a top maitre’de from an exclusive restaurant he was so attentive. It was like this in every aspect of the facility including the club house dining room after the round. And today, the “piece de resistance”, I received an email thanking me again for choosing them and attaching a coupon for 30% off my next visit. Certainly, that this kind of friendly, gracious service should stand out in my mind is a testament to the lack of it elsewhere. But it does give me pause to think that somewhere there might be a bridge linking my world and the real world. As the man said, “hope springs eternal”. So true!!! Unfortunatel customer service is a dying skill in this world, which to me makes absolutely no sense. With so many choices and so many ways to verbalize our displeasure I would think customer service would be top notch. Right, Jodi. Repeat patronage is the majority of the revenue for a business. When you see one go out of business, you can be sure it’s due to poor management oversight of its employees. It is so sad to think that now when we do get great service we are amazed. I recently had a slight accident (http://growingyoungereachday.wordpress.com/2011/12/15/happy-christmas-mrs-b/) and attended the general hospital where I was treated with respect on the first and subsequent visits. I made a point of telling everyone about it – our hospital doesn’t have a great rep so I was pleased to tell all. I even wrote a letter to the editor of our paper. And the service continued all the way through to the physios. And this was all free! Some of shop assistants could take a leaf out of the book of these health care specialists. So glad you had this good experience in a moment of crisis. That’s a good story. Thanks for visiting and commenting. What a great place, Al! You’ll be even closer to it soon. As for customer service in the real world, I know just what you mean. We had intended to buy a dishwasher at Lowe’s, but the head of the appliance department was so rude and condescending, we went to Best Buy instead. They bent over backward to help us. They were even more knowledgeable about their products than Lowe’s, and the young man who waited on us found an even better deal for us than was advertised. Needless to say, we bought the dishwasher there. Good for you guys. Another blow struck for us consumers!